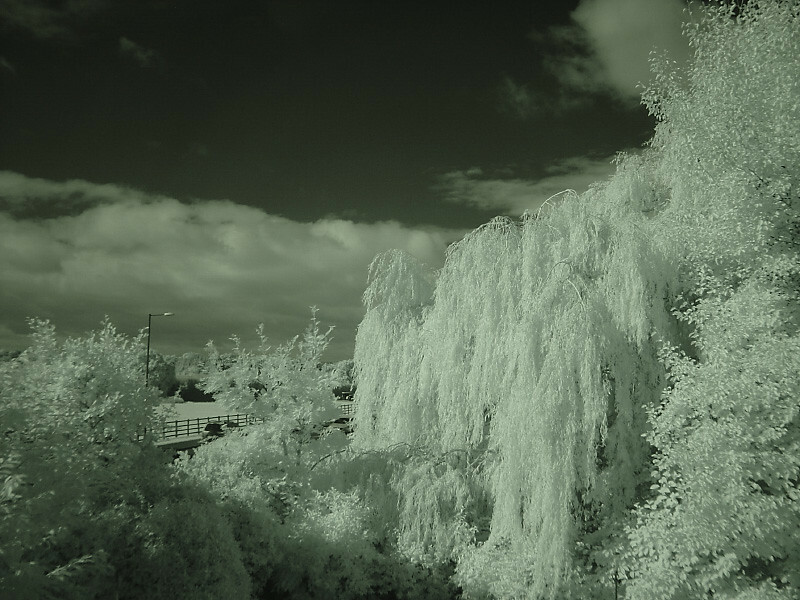 I have been flirting with IR photography on and off this year, ever since seeing John's IR shots here. While searching around the net for stuff on IR (how did we research anything before google?) 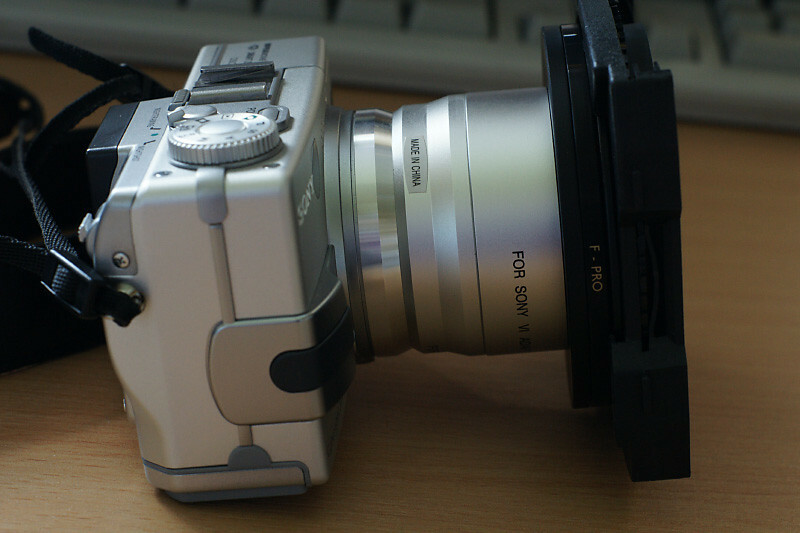 I came across an article about using a Sony DSC-V1, with its in-built IR function. I still own this camera (purchased despite DPR's review ) and I had completely forgotten this function. Here is link to the info I found. The down side is that the V1 limits you to 1/30 sec at f2.8 so you need to filter out a lot of light to stop everything blowing out. (It was meant to be for extreme low-light / night time shots.) This limit is still really annoying - added as there was a fear the camera would be used to photograph through people's clothes! I think the Sony F828 and 717 (?) may have had this function as well. May be the V3 (Yildiz?) as well. I also wish the V1 had an option for RAW, but that is another story! Here are some picture of the new 'rig'. These show the V1 with (chinese copy) extension tubes which were originally for using either a telephoto or wide angle add on lens. Next is the step up ring, and then a B&W ND 64x filter, Kood square filter with adapter, containing a Cokin P007 IR filter. Nice set-up! I can't wait to see what you do with it. And what do you see through the OVF with that filter attachment on the front? KevinBarrett wrote: And what do you see through the OVF with that filter attachment on the front? Hehehe - good point - the square filter holder does compromise the ovf, just ever so slightly . 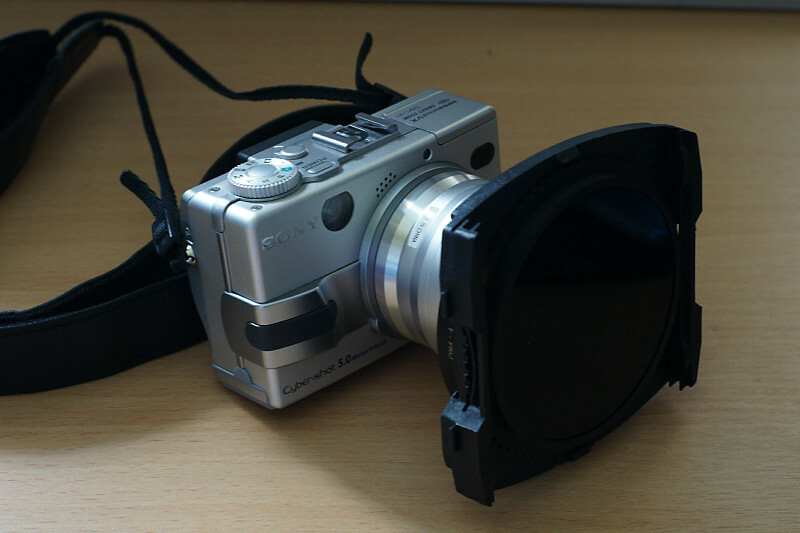 If I really like the set up I may buy 52 mm circular filters.